this was a fun book I hope there will be more. Love the interaction of adult and kids interpretation. 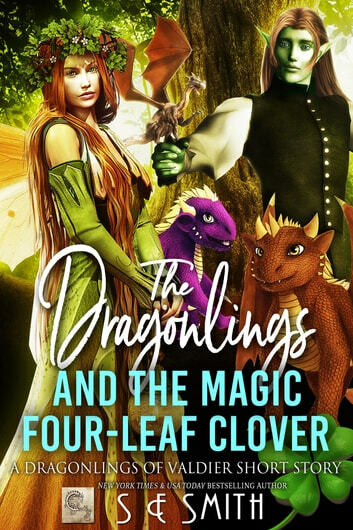 The Dragonlings and the magic four leaf clover. Another great ride through the eyes is the drsgonlings and cubs. I can't get enough of the dragonlings adventures.You can literally see all the little dragonlings and cubs as they appear in a new adventure. Your books make me fall back in love with reading. S.E. Smith are a great writer and I have thoroughly enjoyed that whole Dragon Lords of the Valdier series. The children's novella's are fantastic. If you like reading about georgous aliens loving earth women then you'll be hooked. Read from the beginning, you won't be sorry!